There are several herds of Roosevelt Elk in Trinidad, and we found two of them. 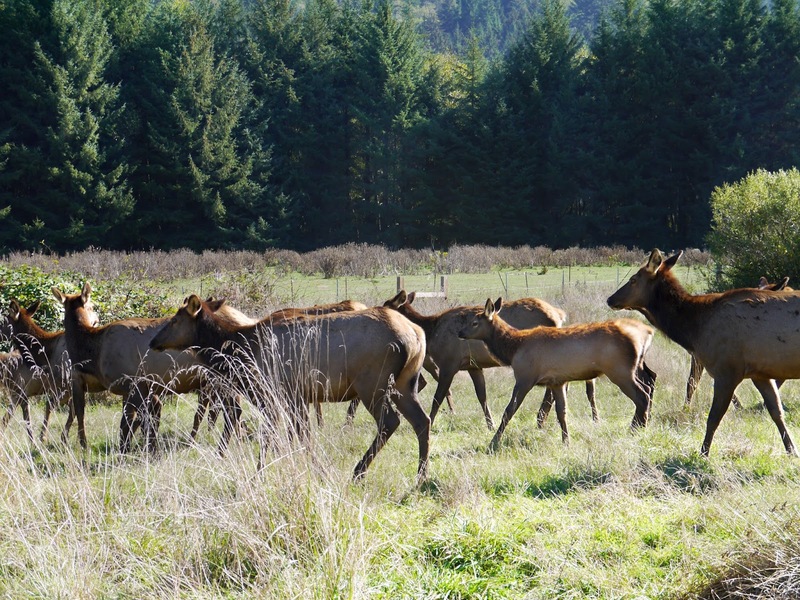 A smaller herd stays near the Elk Meadow cabins, where you can wake up in the midst of the herd. There were at least 3 young bucks lounging around at this spot.